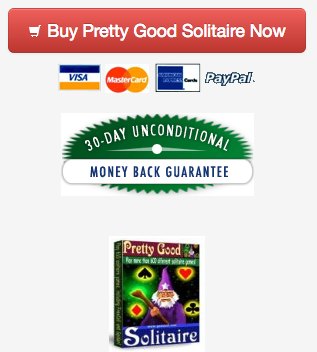 Goodsol Solitaire Blog: How Long Does Great Shareware Take? How Long Does Great Shareware Take? Note: This was originally posted on the old site on June 9, 2003. Everything mentioned is now 2 years older. 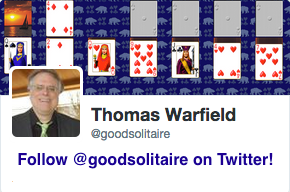 Pretty Good Solitaire is now 10 years old. There's a great article by Joel Spolsky called Great Software Takes Ten Years. In it, he claims that all great software takes 10 years to create. He gives compelling examples. So how long does great shareware take? Shareware is software, so the first answer is 10 years. But shareware is generally smaller and less complex software than what Spolsky gives as examples. It's reasonable to believe that great shareware would take somewhat less time. Anyway, there are very few shareware applications that are 10 years old (although anything that makes it 10 years in this business must be great). Winzip recently celebrated its 10th anniversary. Paint Shop Pro must be close. Clipmate is an amazing 12 years old. My Pretty Good Solitaire will turn 8 next month. If you have or know of a shareware application that is 10 years or older, mention it in the comments. Make a ten year plan. Make sure you can survive for 10 years, because the software products that bring in a billion dollars a year all took that long. Don't get too hung up on your version 1 and don't think, for a minute, that you have any hope of reaching large markets with your first version. Good software, like wine, takes time. When you release 1.0, you might want to actually keep it kind of quiet. This is somewhat the approach I am taking with my new product Pretty Good MahJongg. It was released last October, so it is only 8 months old. Still an infant. It's only at version 1.1, so it is still only a fraction of what I have plans for it to be. As such, I don't necessarily want everybody to know about it. Some people might try it out and decide that it isn't good enough, and then never look at it again. But Pretty Good MahJongg is really an investment for 2005 and beyond, when it should really come into it's own. Of course, that's not to say it isn't a good game, which I think it is, it just is in the early stages of its development. Anyway, getting good software over the course of 10 years assumes that for at least 8 of those years, you're getting good feedback from your customers, and good innovations from your competitors that you can copy, and good ideas from all the people that come to work for you because they believe that your version 1.0 is promising. You have to release early, incomplete versions -- but don't overhype them or advertise them on the Super Bowl, because they're just not that good, no matter how smart you are. Version 1.0 serves just to get the application out there. In version 2.0, you start getting the features that didn't make 1.0 in, plus some of the early customer feedback. It's only in version 3.0 that it starts getting good. It's a common joke that Microsoft doesn't get their software right until version 3.0, but the reality is that no one else does either. So, it takes a long time to write a good program, but when it's done, it's done. Oh sure, you can crank out a new version every year or two, trying to get the upgrade revenues, but eventually people will ask: "why fix what ain't broken?" You run into the problem of what new things can you put in. This is the problem that I will face with Pretty Good Solitaire. While I still have some ideas left, at a certain point there will come a time when there won't be anything left to add. What happens then? This is, of course, why Pretty Good MahJongg, and maybe some other future games, exist. If you are a one product company, you will eventually get to the point where the product is done. You then need some other products to keep the growth going. My approach (which wasn't exactly planned, but it worked out this way) was to concentrate on one major product for years, building it up. Then as the revenue from it increases, use the money to fund development for a second major product. Then when the first product tops out, there will be a second product coming up to fuel growth. Then, as the shampoo bottle says, repeat.